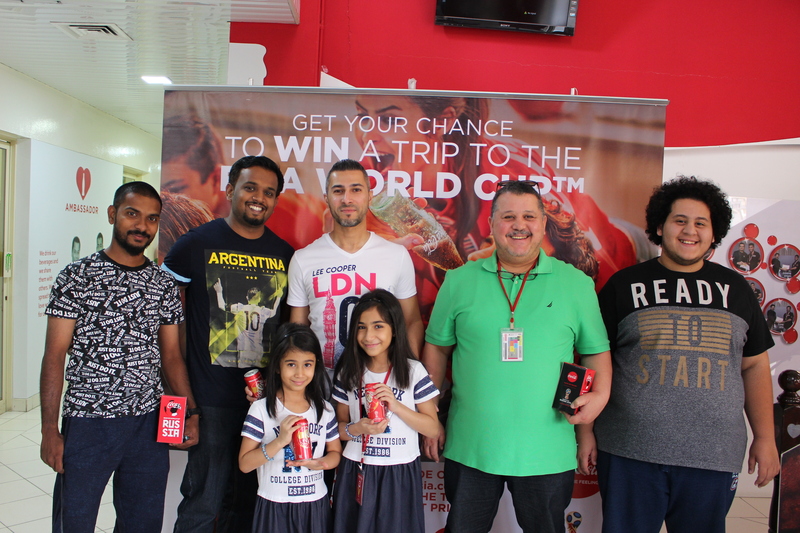 The winners of the Coca-Cola Company’s 2018 FIFA World Cup™ promotion, who travelled to Russia to attend one of the matches, got together at the Coca-Cola Bottling Company to share their experiences. The Under the Cap World Cup promotion on Coca-Cola cans was launched on April 1st and ran until May 12th 2018. It offered fans and consumers the chance to win a number of instant gifts, including an opportunity to participate in an online raffle for a chance to win a trip for two to the 2018 FIFA World Cup™ in Russia, on a weekly basis. Promotion embodied the Company’s commitment towards bringing people together through sport. Football, one of the most popular games in sport unites global citizens, and the FIFA World Cup™ is an event that brings nations together in a celebration of sporting prowess and a beautiful game. As a long-term supporter of football, the Coca-Cola Company has had a long-standing relationship with FIFA since 1976 and has been an official sponsor of the FIFA World Cup™ since 1978, sharing in fans’ passion and enthusiasm for the game.